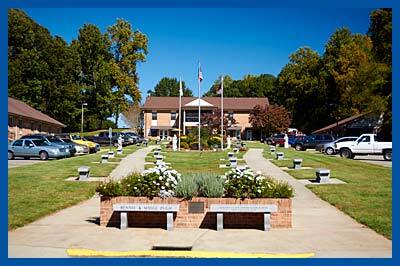 We encourage adult residents of North Carolina with blindness and visual impairment to apply for our program. At a minimum, an applicant must be visually impaired, which is defined as vision of 20/70 with the best correction. Applicants are required to provide their own self-care. Applicants needing assistance with self-care may bring a caregiver with them to attend camp. This is a recreational program, not a nursing or care facility. Applicants must be able to eat, bathe, dress and toilet themselves independently. Persons wishing to apply who need personal care assistance are required to bring a caregiver with them. Sighted individuals may apply to accompany campers as caregiver, spouse, companion, legal guardian, or minor child of the camper. A nurse is on staff throughout the summer. The nurse is available to assist with medication administration, blood sugar monitoring, and blood pressure monitoring. Blind or visually impaired youth accompanied by a parent/guardian are welcome. 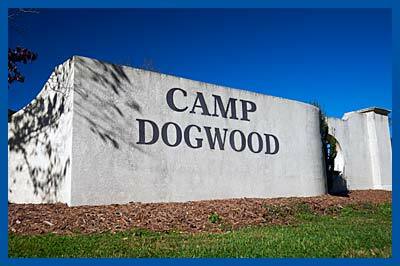 Campers with service dogs only are welcome. Out-of-state campers may be accepted on a space available basis. Special pricing applies to out-of-state campers. Please contact the camp office for details. Nine weekly overnight sessions are available. We serve up to 90 campers per session. Campers arrive on Sunday afternoon between 1 and 5 pm bad depart the following Friday no later than 10 am. Your stay includes a 2 person guestroom, all meals and all activities. Room requests are not guaranteed. You may request a specific roommate. If you do not select a roommate one will be assigned to you. On the Sunday evening of your arrival, we will have an orientation session with introductions of all staff and campers. Starting Monday morning the activities commence. You may choose to participate as much or as little as you like. Some attendees enjoy trying as many options as possible, while others prefer to relax on our porches in our many rocking chairs. Unlike a children’s camp, your experience here is directed by you. 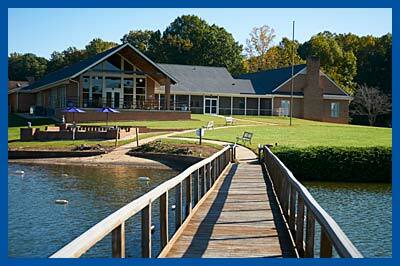 Waterfront: We are located on Lake Norman in a large picturesque cove. We have a large dock with boats, and a beach area in front of our lodge. Our waterfront activities include boat rides, fishing, swimming, and tubing. Boating is a camper favorite! The more adventurous guests enjoy riding the tube pulled by the boat. We have a certified lifeguard on duty during our scheduled waterfront hours. Our swimming area is roped off for safety and monitored by a lifeguard when swimmers are in the water. Fishing is available as well. We provide fishing rods and bait. We practice catch and release fishing. Bream, perch, bass and catfish are plentiful in Lake Norman. Campers must pass a swim test before being allowed to tube. Art & Craft: We offer daily craft sessions. Campers may choose from several craft making options or design their own. Counselor and volunteer staff are available to assist with craft construction as needed. Off Campus Trips: Campers are able to participate in off campus trips. These trips may vary from session to session. Trips may include but not limited to Shopping, Movies, Museum, and Bowling. Other Entertainments: Musical groups are often our guest entertainers. Our campers produce their own weekly talent show. Bingo is a favorite pastime in our program. Our weekly dances feature themes like a pajama party, western, luau/beach, etc. Local Lions clubs often provide entertainment like trivia contests and karaoke singing. We feature speakers on a variety of topics as well.